Floral printed checkered blouse for Fashion royalty FR:16, Sybarite, Tonner, PashaPasha Original, PashaPasha Mini and similar body size dolls. Materials: polyester. Fastens with small hooks. Tiny beads for decoration. 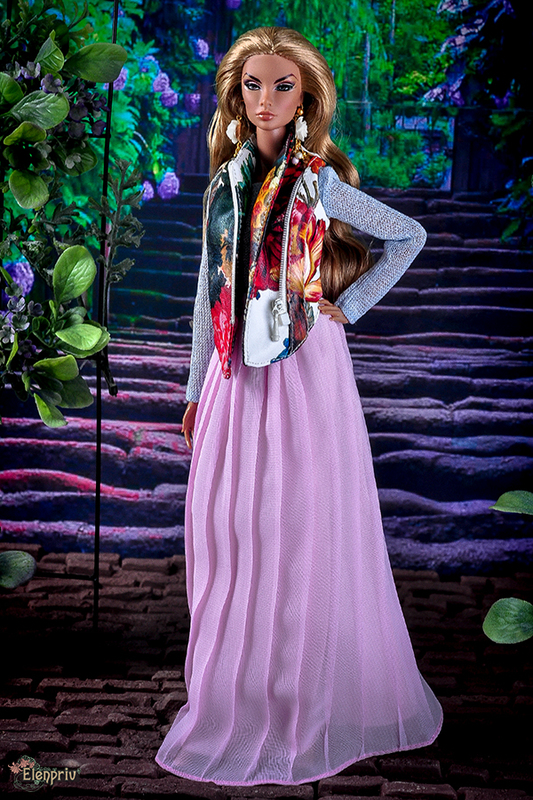 Model: Incognito Elsa Lin Fashion Royalty 16 inch Fashion doll by Integrity Toys Jason Wu dolls. Doll, shoes, bijouterie, pants, bag and diorama are not included.